1. Move each point around and notice what happens to the measure of each angle. 2. Answer the questions that follow. 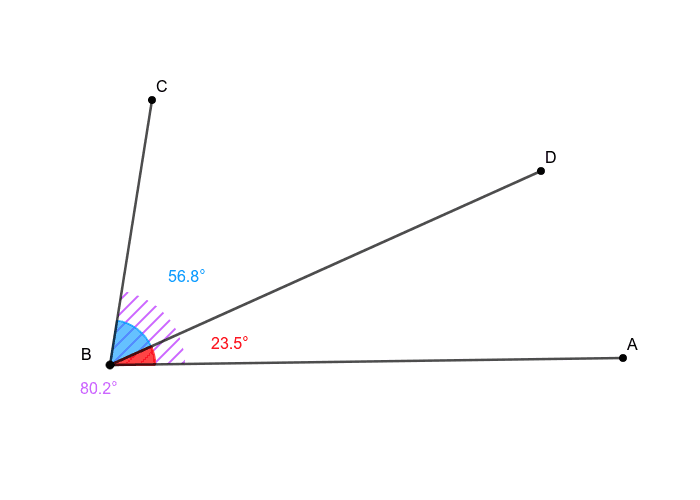 What happens to each of the angle measures if you JUST move point C or A? What happens to each of the angle measures if you JUST move point D? Create an equation to represent the relationship between each measure. Would your equation work for any pair of adjacent angles? Why or why not?